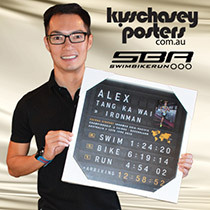 Congratulations to Swim Bike Run customer Alex Tang who put in an awesome effort at the Cairns Ironman. 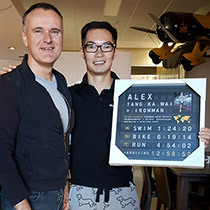 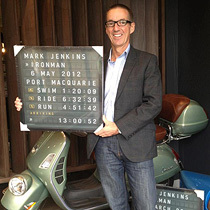 Alex had to fly back to Hong Kong with his family but, not with out picking up his two Ironman arrival boards, in two sizes. 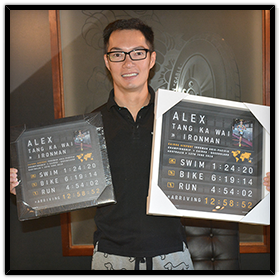 Alex was at SBR only last Friday...came into Kisschasey that night and then jetted off on Tuesday with his framed posters. 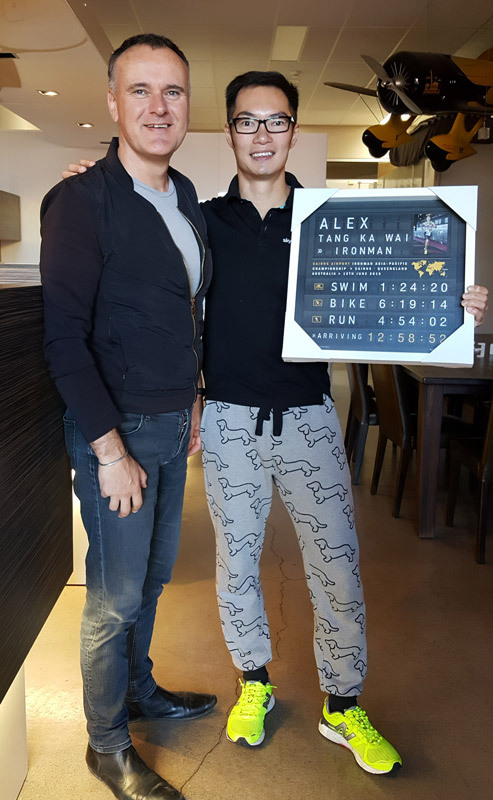 What a turn around!